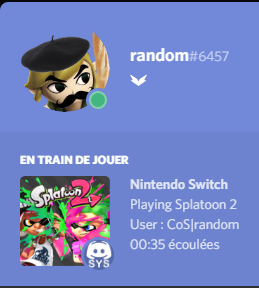 GitHub - Random0666/SwitchPresence: A Nintendo Switch custom sysmodule for Discord Rich Presence. 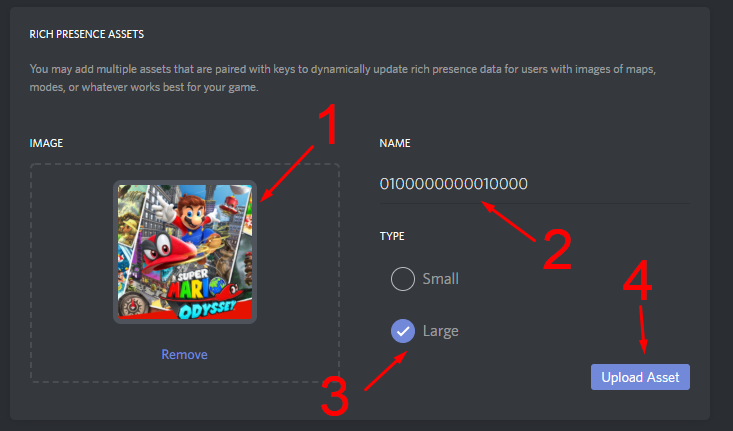 A Nintendo Switch custom sysmodule for Discord Rich Presence. Want to be notified of new releases in Random0666/SwitchPresence? Copy switch-rich-presence.kip to your sd card and edit the hekate_ipl.ini to include the sysmodule. Boot your switch into RCM mode and run hekate on it. Open the client (SwitchRichPresence.exe) and click the "Connect" button. 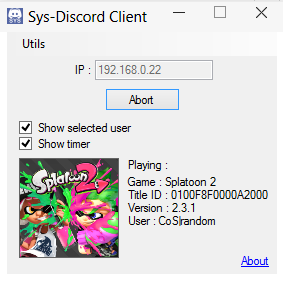 Note : I already made a default application with some games on it but if you don't do this, most of your icons won't show on discord. Create a new App and give it the name that will be shown on your profile (usually "Nintendo Switch"). Enable Rich Presence for you app. Launch the sysmodule and connect the client to the switch (see Usage). Once connected, click on Utils->Export icons and choose the path where your icons will be exported with the right name/icon size. Go to your rich presence app and add all the icons that you just exported with the name they were given and choose the the type "Large". Open the config.txt file at the root of the client (If this file doesn't exit, running the client once closing it will create a new one.) and edit the client_id line with the client ID of the rich presence app you just created. The switch might hang on when getting into sleep mode or when turning it off. If that happens, hard shutdown your switch by pressing the POWER button for ~15 seconds. Again, huge thanks to everyone who contributed to the amazing documentation on SwitchBrew.